← IPCC, energy and economic growth – are we brave enough? 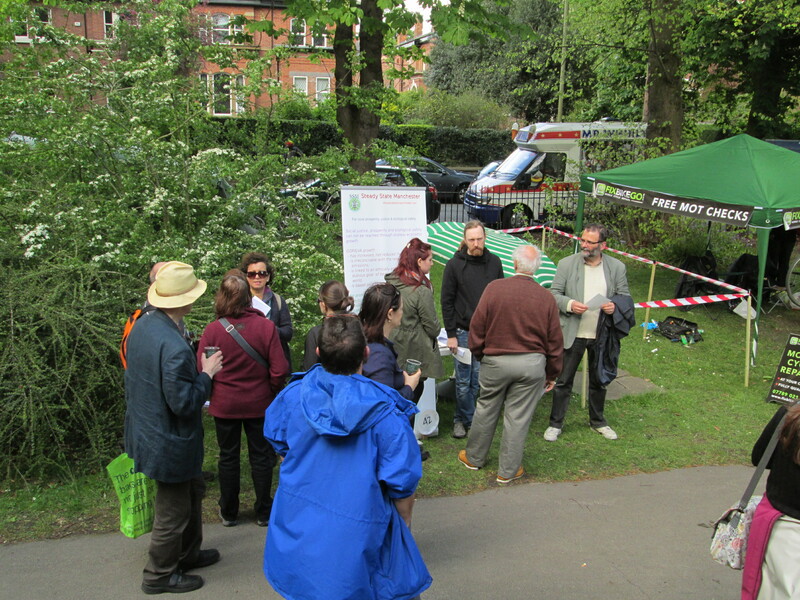 It was good to meet so many people at the Chorlton Big Green happening on Saturday 26 April. Thanks to those of you who signed up for email updates – if anyone else would like to add their name just send us an email by following this link. And if you are really keen why not become a Friend of SSM? It doesn’t cost anything, but we are particularly grateful for donations – especially if they are regular. For the price of a couple of pints (or coffees) per month you can help us to continue promoting transition to a Manchester that is viable economically, socially and ecologically – you can download the Standing Order form here. Everyone wants to discuss the viable economy! This entry was posted in event reports, get involved and tagged supporting SSM. Bookmark the permalink.